Who made France’s last stand in 1940? – after the British had runaway via Dunkirk and the French had given Paris to Hitler [Paris was declared an open city]. 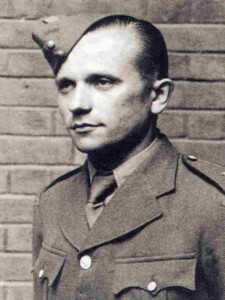 You, Jozef Gabčík (born 8 April, 1912), together with your friend, Jan Kubiš and the rest of the Czech Division, that’s who. 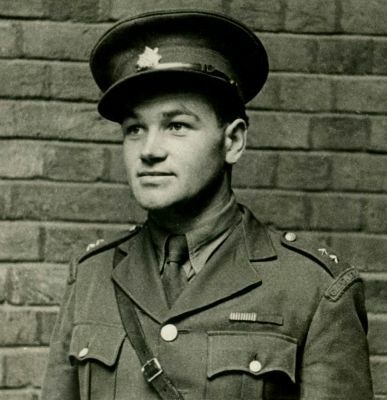 And in 1942, with all the military might of the British Empire, the Soviet Union and the United States to choose from, which pair of soldiers has been selected for the most daring operation of the war, to take out Hitler’s young, brilliant and ruthless successor? You’ve both already been to Poland to offer to fight for them in their hour of need in 1939. 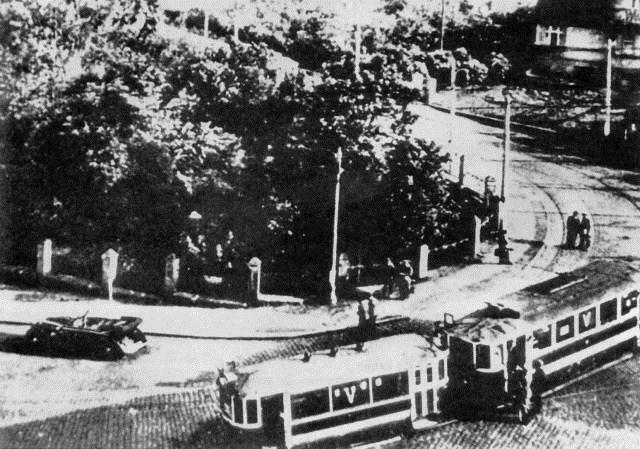 Warsaw in the summer of 1939 was ‘the Paris of the east’ – but without the vanity. You knew the fight would soon be in France, so there you went there and found it. 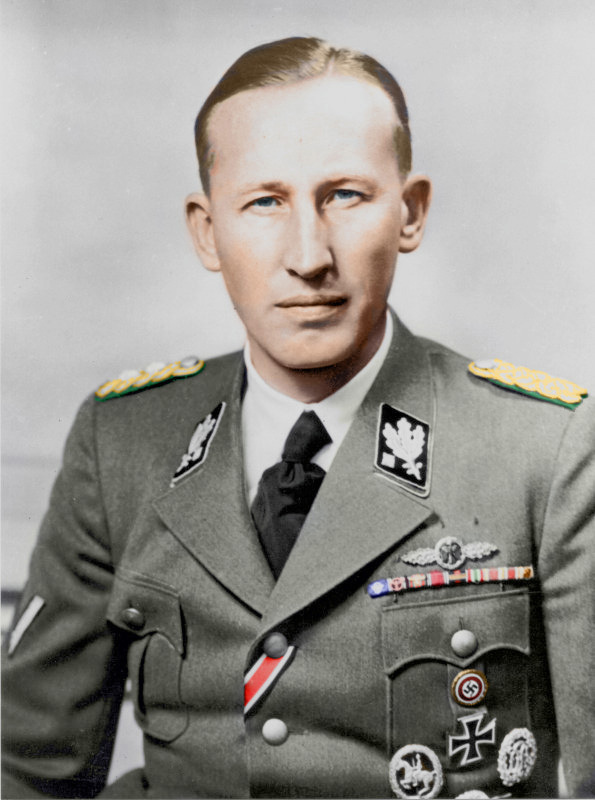 The SS’s leading light, Reinhard Heydrich, is to fly from Prague to Berlin on the afternoon of May 27th to meet with Hitler. Heydrich has demonstrated such cutthroat efficiency in dealing with dissent in his Protectorate of Bohemia that the Führer is poised to promote him – to charge him with wiping out every flicker of resistance Europe-wide. Heydrich has a rival for this role, his former mentor in his naval days, now Chief of Military Intelligence (Abwehr): Admiral Canaris. Canaris is a humane man and secretly works for the British. Heydrich has furtively collated a black book of evidence of Canaris’s treachery; Heydirch will unveil it only to Hitler, face to face – unless he is stopped. You and Jan Kubiš have been trained by Britain’s Special Operations Executive to parachute in, kill with certainty, and cycle away. In training, you both: aced in marksmanship on a disused platform in Baker Street tube station’s secret shooting gallery; fell out of aircraft as well as any man at Manchester Ringway; demonstrated many ingenious ways to kill a man in the Scottish Highlands. It was there you discovered Jan couldn’t ride a bike. Any deviations or mistakes in A Chance Kill are mine alone.